MILAN, July 26, 2018 — IDC Retail Insights today published an IDC Innovators report profiling three technology providers that leverage blockchain technology to improve retail customer experience. The three companies named as IDC Innovators are EVERY, Gospel Technology, and Provenance. Blockchain technology provides retail companies a platform to collect and manage data through smart contracts while delivering a single version of the truth. AI algorithms need certified data from several sources to generate better insights, deliver personalized experiences, and decrease operating costs through product traceability, visibility, and regulatory compliance. Furthermore, blockchain technology enables retail companies to better guarantee the provenance and authenticity of offered goods, more secure and less costly payment transactions, more transparent and agile supply chain processes, and empowered customer loyalty program membership. "Blockchain adoption could enable retailers to provide increased transparency and to build a new level of relationship with their customers based on the values of security and fairness," said Andrea Sangalli, associate research director, IDC Retail Insights. "Blockchain supports retailers in collecting the right data for creating contextual experiences through a layer of trust in which a single source of the truth is exposed to different actors for the right reasons." EVERY's eCommerce system used blockchain to empower customers' loyalty program membership. Gospel Technology offers an open platform in which all data can be accessed through application programming interfaces (APIs). Provenance is a software company focusing on the traceability of products' origins in the retail industry. The report, IDC Innovators: Blockchain as Key Enabler of Visibility, Compliance, and Loyalty for Retail Customer Experience, 2018, profiles three notable vendors that leverage blockchain technology to improve retail customer experience. To arrange a one-on-one briefing with an IDC Retail Insights analyst, please contact Kanupriya at kanupriya@idc.com. IDC Innovators reports present a set of vendors — under $100 million in revenue at the time of selection — chosen by an IDC analyst within a specific market that offer an innovative new technology, a groundbreaking approach to an existing issue, and/or an interesting new business model. It is not an exhaustive evaluation of all companies in a segment or a comparative ranking of the companies. Vendors in the process of being acquired by a larger company may be included in the report provided the acquisition is not finalized at the time of publication of the report. Vendors funded by venture capital firms may also be included in the report even if the venture capital firm has a financial stake in the vendor's company. IDC INNOVATOR and IDC INNOVATORS are trademarks of International Data Group Inc.
IDC Retail Insights assists retail businesses and IT leaders, as well as the suppliers that serve them, in making more effective technology decisions by providing accurate, timely, and insightful fact-based research and consulting services. 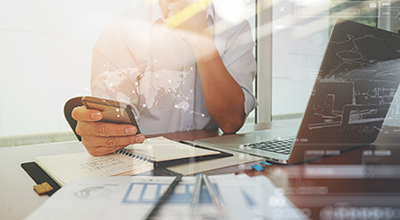 Staffed by senior analysts with decades of industry experience, our global research analyzes and advises on business and technology issues facing asset intensive, brand oriented, technology oriented, and engineering oriented retail industries. International Data Corporation (IDC) is the premier global provider of market intelligence, advisory services, and events for the information technology market. 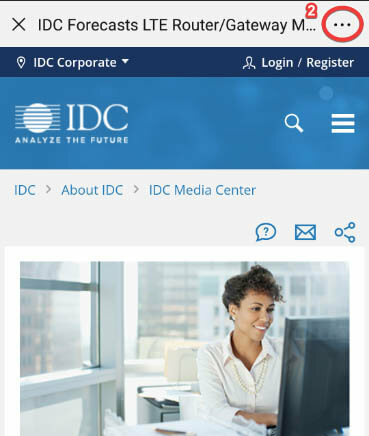 IDC is a wholly owned subsidiary of IDG, the world's leading technology, media, research, and events company. For more information, please visit www.idc-ri.com, email info@idc-ri.com, or call 508-988-7900. 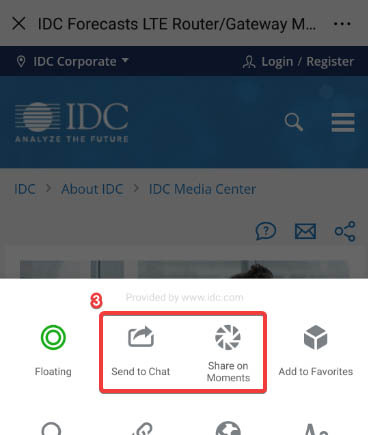 Visit the IDC Retail Insights Community at http://idc-community.com/retail.